God Reaches a Record Number of Kids through Immanuel’s Child! Final results still to come—but it’s already more than ever. God blessed the SGA-sponsored Immanuel’s Child ministry with another record-setting Christmas season—thanks to God’s provision through your faithful support. Even though the counts are not yet complete, you helped reach at least 30,114 children, with two of every three—20,349—being from unbelieving families! 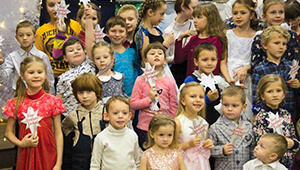 Thank you for your gift in support of SGA’s Immanuel’s Child outreach to hurting, Russian-speaking children in need of God’s love and hope. Through your generosity know that God is using you to help orphans start new lives as their hearts are won for Christ. The children also receive children’s Bibles, Christian literature, gifts, and follow-up by trained Christian workers. 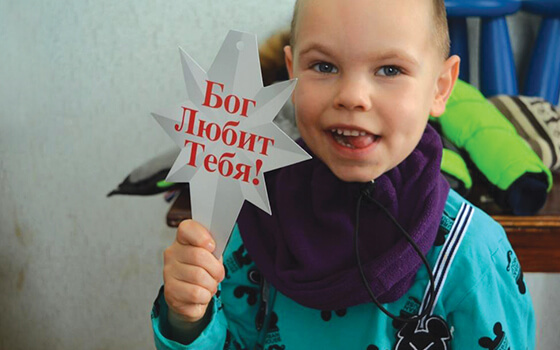 While final numbers are still being gathered from Russia and her neighboring countries, we can tell you that more children were reached through Immanuel’s Child this year than ever before! Oh, give thanks to the Lord, call upon His name; make known His deeds among the peoples (1 Chronicles 16:8).